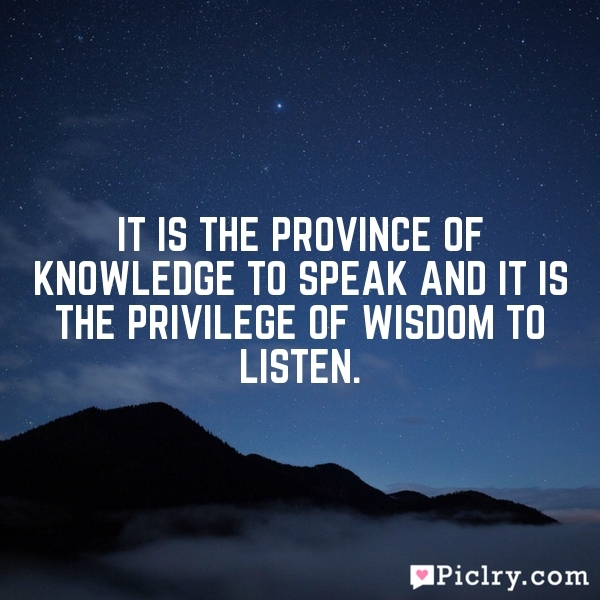 Meaning of It is the province of knowledge to speak and it is the privilege of wisdom to listen. Meaning of It is the province of knowledge to speak and it is the privilege of wisdom to listen. Quote by Oliver Wendell Holmes Sr..
February 12, 2018 piclry Posted in: Inspirational, Random Tagged: Oliver Wendell Holmes, Sr.
From sunrise to sunset to sunrise, there is a lifetime of joy, sorrow and happiness.